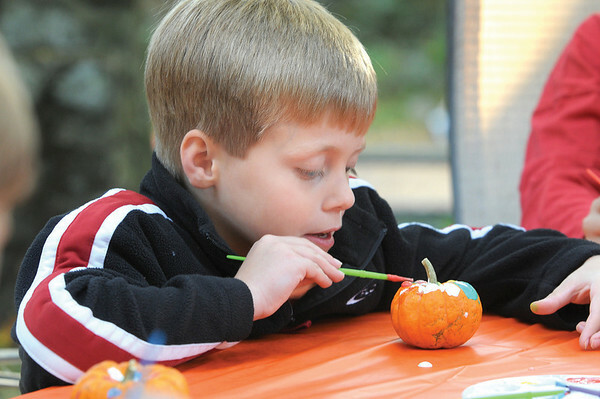 Nicholas Williams paints his pumpkin/gourd? in the Nicosia backyard. Photo by Ken Yuszkus/Salem News, Thursday October 8, 2009.